Edited by Dai Yamanouchi . 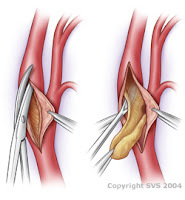 Vascular surgery is one of the specialties of surgery focusing on the vascular system of the body, i.e. arteries and veins. The unique feature of this specialty is, unlike other surgical specialty, that vascular surgeons routinely perform not only the conventional open surgery but also the diagnostic and interventional endovascular procedures. For that reason, the field of vascular surgery has evolved rapidly since the introduction of the endovascular aneurysms repair (EVAR) as well as the numerous techniques and devices of endovascular procedures for peripheral artery disease and varicose veins. This book aims to provide a brief overview of conventional open vascular surgery, endovascular surgery and pre- and post-operative management of vascular patients. The first section is focusing on the conventional open vascular surgery with recent consensus and evidence from the literature. The second section addresses the issues of the endovascular surgery. The third section deals with pre- and post-operative management of the vascular patient as well as miscellaneous topics of the vascular surgery. The collections of contributions from outstanding vascular surgeons and scientists from around the world present detailed and precious information about the important topics of the current vascular surgery practice and research. This book covers a wide variety of issues and topics of the vascular surgery. I would like to acknowledge the authors around the world for their excellent contributions to this book. I also would like to express my special thanks to the managing editor of INTECH for providing me numerous supports and advices. I hope this book will be used worldwide by young vascular surgeons and medical students enhancing their knowledge and stimulating the advancement of this field.